Using A Sewer Trap Plunger: Is It A Good Idea? 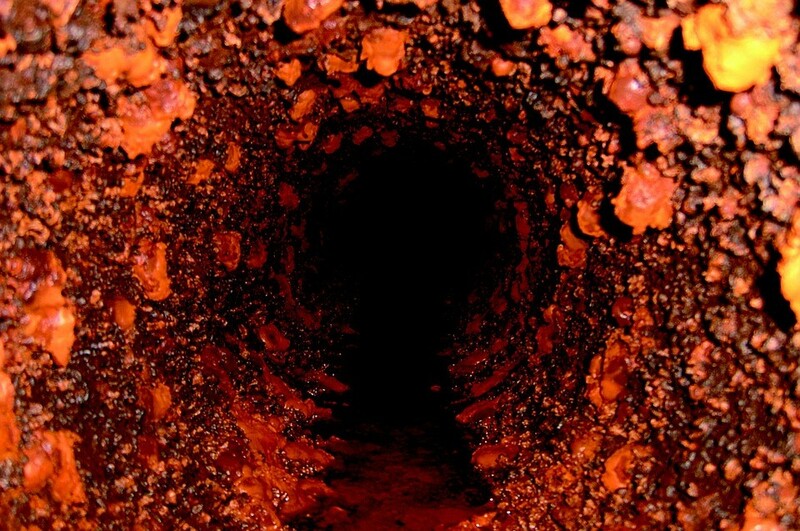 We all know that clogs in sewer lines are not really a big threat to your home (like a flood or fire). However, dealing with a backed-up sink or toilet waste that is draining inside instead of leaving the house is often quite nasty. The truth is, a main sewer line clog is an easy job for any plumber – and one that will likely end up with a hefty bill for you. If you want to try some DIY home maintenance, on the other hand, it can be the perfect solution that takes care of the problem for you at the fraction of the cost. If you are familiar with what sewer snake is, you probably know that it is a great and inexpensive tool that can help you unclog the sewer line. However, the unclogging can also be done without it – which is exactly what we are talking about below. 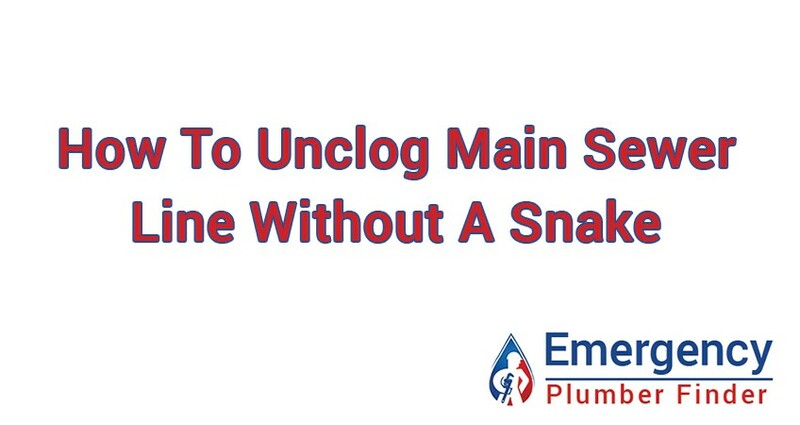 Below, we are listing all the steps, methods and tools needed to unclog a main sewer line without using a snake. If you run hot water straight from the tap, it may help unclog the drains or pipes that are partially clogged. The recommended time for the hot water to run is approximately 5 to 10 minutes. Aside from this, the water can also be drained from the toilet talk and be replaced with hot water. You can find a chemical drain cleaner in almost every hardware or department store. As soon as you find the right agent for your needs, just follow the directions outlined on the package and apply the cleaner to your clogged line. In most of the cases, a drain cleaner like this will help you get rid of the problem. A force-ball plunger can help you form a more perfect seal with the drain – and use more pressure into it to dislodge the blockage. When using such plunger, make sure to have an adequate amount of water in the bowl and plunge several times before removing the plunger. You should repeat the process until the clog breaks free. If nothing worked for you so far, maybe high-pressure water down your drains can get you rid of the clogs. The clean-out plug is most commonly found on one of the sewer lines in the basement. However, if you cannot locate the clean-out plug on your sewer line, you should also check outside. In some cases, near drainage lines are associated with rain spouts. The next step is to get a large bucket or container just below the plug. By doing this, you will prevent the water from getting out of control and creating a mess on your basement floor (which can easily happen if any water or drainage is forced back through the line). You can get a high-pressure nozzle in any garden supply store. Nozzles like these are cheap and effective. Aside from unclogging, you can use them for cleaning a lot of surfaces. Make sure to properly attach it to your garden hose (and make sure that it properly fits). Run the garden hose into the sewer line through the clean-out plug. Make sure to run as much of the hose as you can, so that it enters right or until you come up against it. The last step is simple. You should open the water valve – but start slow. If you run too much water immediately, it may cause a rush of water back through the sewer line, creating a mess in your basement. 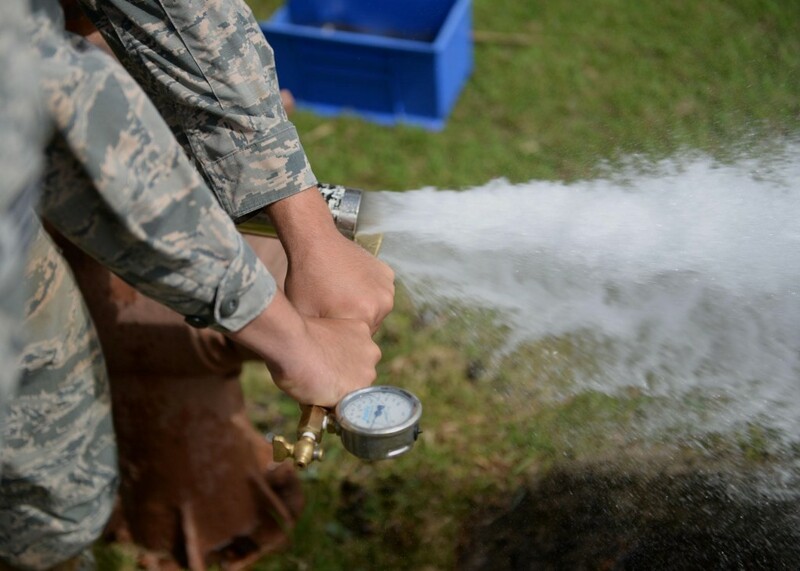 The goal here is to work the hose back and forth as you open up the valve more and therefore increase the amount of water. In the best-case scenario, the high-pressure water should break through the blockage. You should however continue running it through the sewer until you feel that the line is clear. As you can see from what we have written above, sewer line clogs can easily turn to a bigger problem if left untreated. And that is exactly why you need to know what causes them in most of the cases. Clogs – Caused by improper waste disposal, clogs can be triggered by flushing tissues, diapers, napkins and other solid waste materials which are not degradable. 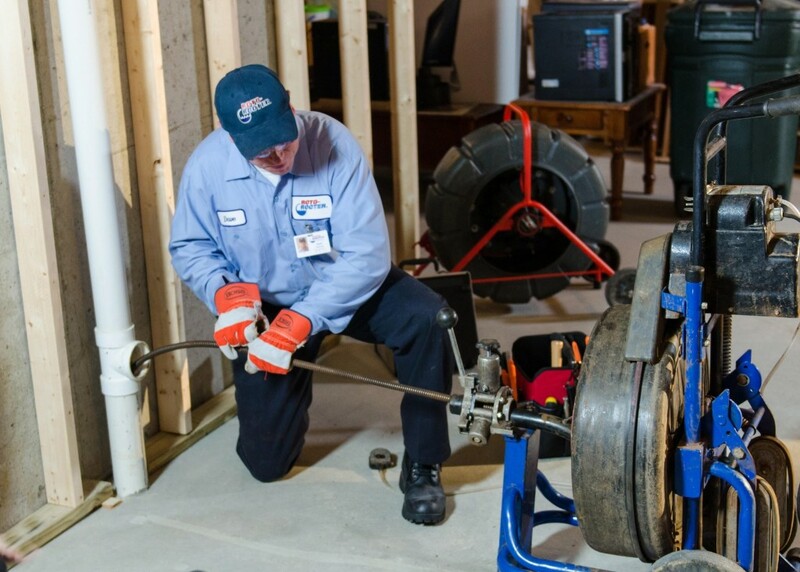 If your sewer line gets clogged, you might have to take them out by hand. 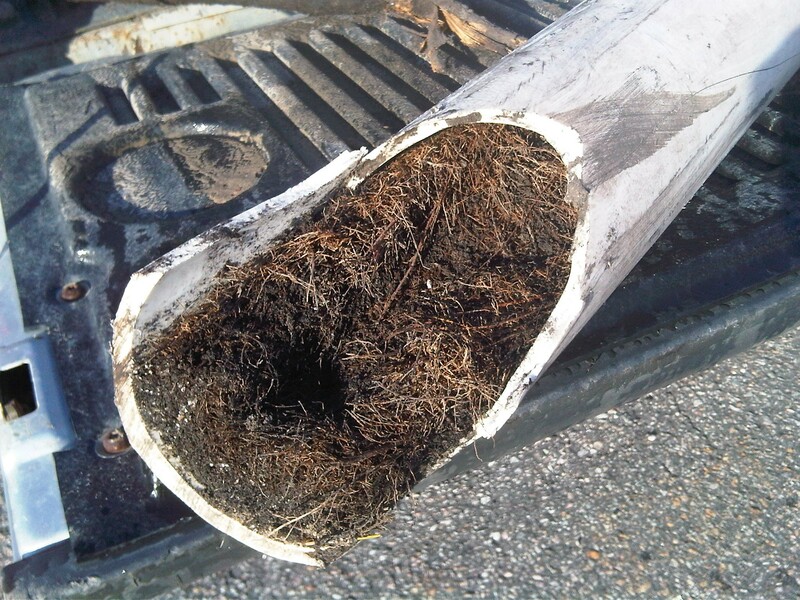 Tree Roots – Growing into pipes and causing blockages, tree roots are also known as one major cause of sewer backups. Broken Sewer Lines – Sometimes, the problem can lie inside your sewer lines which might be broken, old or collapsed The sewage pipes which commonly collapse are built from clay piping and cast iron which are both materials that can break over time. If you experience such problem, you should inspect and determine the cause and get expert help in unclogging them. 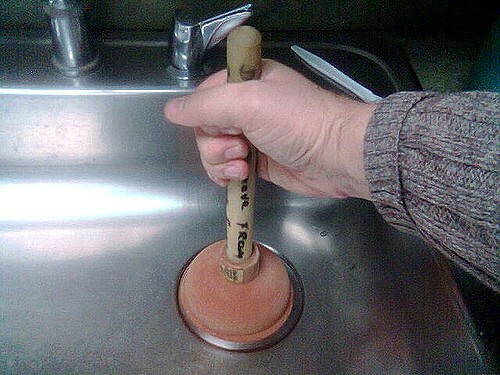 We all know that plungers are probably one of the most effective tools for unclogging drains. Homeowners love using a sewer trap plunger for unclogging drains because of the tool’s simplicity and its ability to get the job done. So, it is safe to say that sewer trap plungers are an efficient tool for drains that are experiencing a problem. Ideally, you have the plunger right next to the area that is backing up. In an emergency, you need to work with the plunger you have (even though it is better to have one for your toilet and one for your sink). To unclog the sewer line with a plunger, make sure to stop your water from running (if you can). Next, grab the plunger and the drain you are trying to unclog and begin to push and pull at the stick end of your plunger. Your elbows will feel the pressure but you have to keep on going. After a few good pumps, release the seal, unclogging whatever is stuck in your pipes and allowing the water to drain out. After you unclog your drain, you should clean the area and clean your plunger. If you used a toilet plunger for a sink or tub, make sure to disinfect the area and invest in separate plungers for both the toilet and the kitchen. In the end, having a snake is probably the best solution to unclogging a main sewer line. However, you can see that there are many alternative methods that can help you – and ones that are just as effective. Luckily, unclogging a sewer line is not a process that is that complicated, which is why you can save some time and money and do it yourself instead of hiring a plumber. 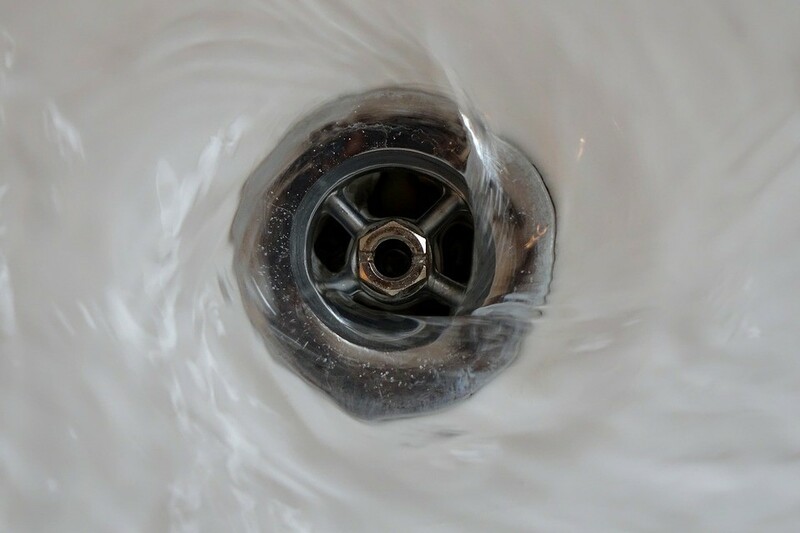 What you should also remember is that proper use and maintenance of your drains will give you less clogged sewer lines than expected – and less problems with them in general. We hope that this guide helped you solve your problems!